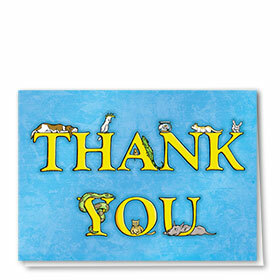 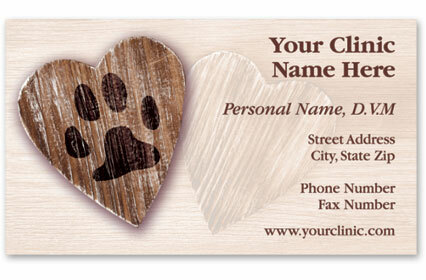 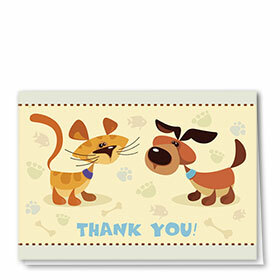 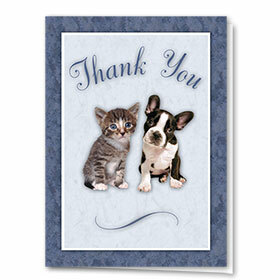 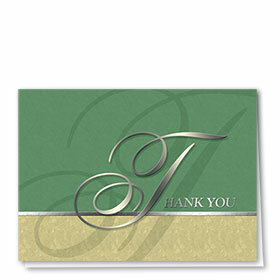 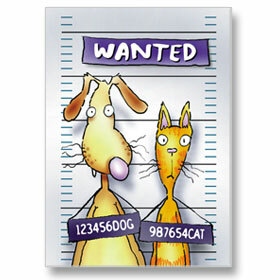 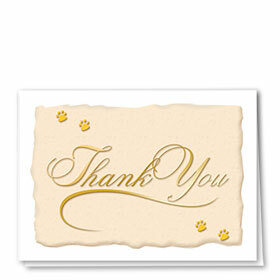 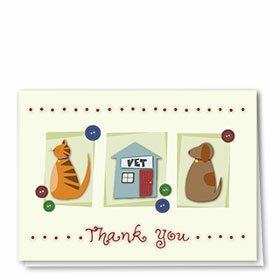 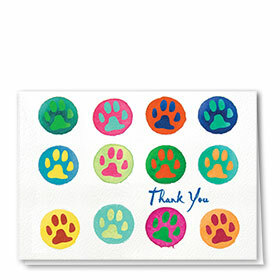 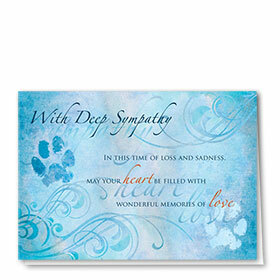 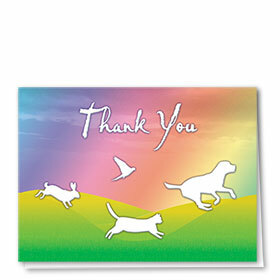 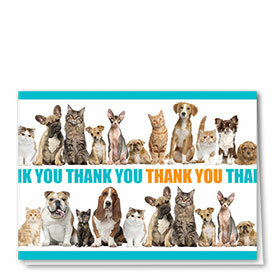 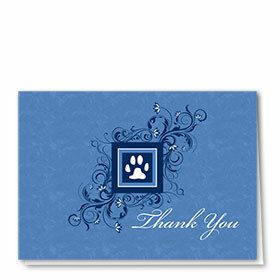 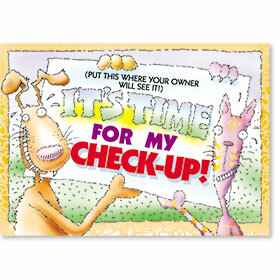 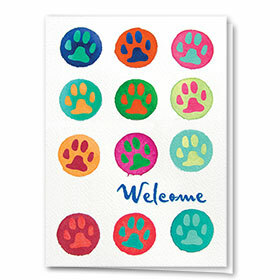 Show your grand appreciation for your customers with our pet thank you cards for veterinarians. 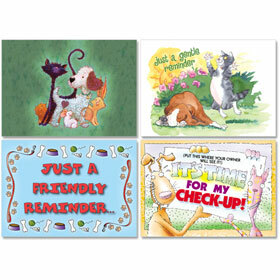 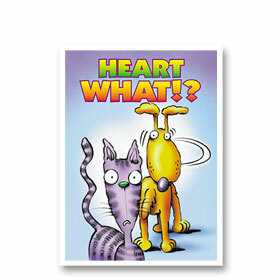 This line of greeting cards is perfect for following up on recent services and helps to keep your practice at top of mind the next time a veterinary visit is needed. 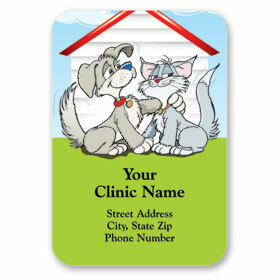 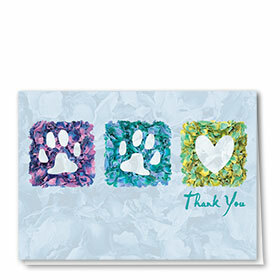 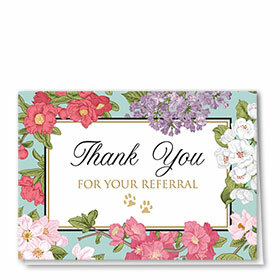 Veterinary thank you cards feature your animal clinic information and choice of message on the inside plus of colored envelope. 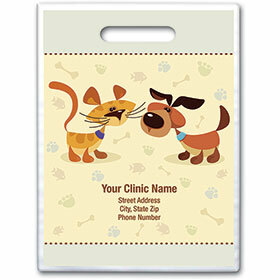 Order 200 or more and get free envelope imprinting of your return address.